A crack intervention on a user can be difficult and chaotic. One second they are swearing off drugs, the next moment they often disappear for days. Although the substance itself isn’t usually the true problem in terms of recovery, it is important to understand that each substance abused does require a different approach in terms of the interventionist. A crack intervention is handled differently than an intervention on a standard cocaine or heroin addict. With all stimulants like crack and meth it is always best to perform an intervention on a crack addict with precision timing. Crack interventions always require the expertise of an interventionist familiar with and with extensive experience in the intricacies of crack interventions. The most psychologically addictive of substances, cocaine, is a stimulant with euphoric attributes that works directly on the endocrine and nervous systems. Using cocaine gives the user feelings of empowerment due to a massive release in pleasure causing endorphins, an increase in strength, an adrenaline rush, and an increase in heart rate, blood pressure and respiration. After the usage the body tends to bio chemically “swing the other way”, resulting in a decrease in heart rate, blood pressure and respiration. In addition the resultant flood of endorphins and now lack of them often causes feelings of depression, suicidal thoughts and lack of motivation. The combination of these is often referred to as “the crash”. After enough usage, the cocaine user develops paranoia, delusions. Although chemically similar to its freebasing companion, crack cocaine, and technically the same drug, a crack intervention on a crack user is dealt with differently than on someone who just “snorts cocaine “. 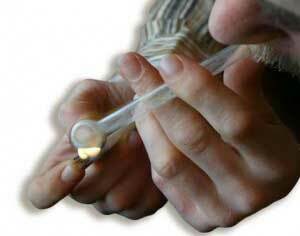 Crack is a form of cocaine that has been combined with other substances to create a smokable “freebase” form. The effects are more immediate, more intense and shorter lasting than for someone who snorts cocaine. Often, most cocaine users have a tendency to look down on a crack user and think of themselves as somehow better. Interestingly enough, however, some studies suggest that 90% of all cocaine users will eventually end up using/smoking a freebase form of cocaine such as crack. In dealing with a standard crack addict we generally have two types of people needing a crack intervention, each of which is dealt with in a different way. Ideally, it is wise to avoid conducting a crack intervention on a crack user while under the influence of the drug, but sometimes this is unavoidable. The most common type crack intervention that we perform on crack addicts is that on a binge user. The binge user is someone who can go for days, weeks or months without using crack. However, over time the amount and duration of the crack binges does have a tendency to increase, sometimes even lasting for days. Essentially the typical pattern or description of a binge user of crack is as follows. He may be reclusive or he may be a highly motivated, outgoing individual with a great personality. Everything goes fine for awhile and then there is a degree of irritation and agitation, sometimes described as the manic state. It is soon after this that the binge user goes out and uses crack, sometimes with the intention of “only doing a little bit”. After the crack binge, the user is remorseful, depressed and sometimes suicidal. The user might not even understand why he went and smoked the crack in the first place, maybe he even promised himself and others not to do it again. This time it will be different, though, he says. Never again, he promises. And then it happens again. Oftentimes, family members are discouraged from doing a crack intervention on a binge user because, just like the addict, they feel that after one of these binges he will eventually stop. Unfortunately, the reality is that with each successive binge, the addiction to crack cocaine actually grows stronger without some form of treatment. However, understand that since crack cocaine is less socially acceptable than snorting cocaine, there are more crack interventions performed than merely on the cocaine snorters. In performing a crack intervention on a binge user, ideally if one can time the crack intervention within a week after the binge, the chances of successfully getting the addict to agree to treatment increase exponentially. If, however, you attempt a crack intervention on the day prior to an upcoming binge, during the manic phase, it has a greater degree of difficulty. Oftentimes the addict himself is unaware of this “manic phase” or upcoming binge, but those around him who have observed him for any length of time can eventually begin to predict the cycle. Does that mean that if it has been weeks since the binge a crack intervention is useless? Absolutely not. 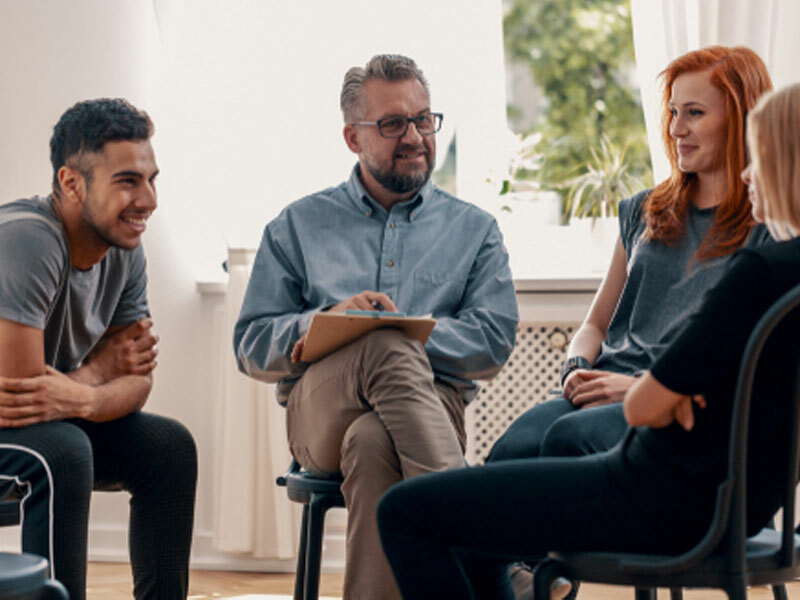 A professional intervention specialist has the ability to get a crack addict to understand the cycle and necessity for treatment no matter how long since the last usage. More rare than a crack intervention on binge user, the “daily user” of crack is someone who cannot “function” on a daily basis without using the drug. Interestingly enough, most daily users initially have a higher degree of functionality during their usage than a crack user does during his binge period. However, eventually even the daily user spirals out of control, often into paranoia and insanity. Even though he uses more, doing a crack intervention on a daily user can actually be more difficult than on a standard binge user. This is primarily because of the long-term effects the cocaine will have on his system. If the daily user has been using for years he may have become so delusional, reactionary and sometimes violent that conducting a crack intervention can become an explosive or even dangerous experience. If conducted early enough in his using life, it is important to make an attempt to perform a crack intervention while he is not actively using the drug. In some cases this is early in the morning, before he begins his daily cycle of use. Unfortunately, however, sometimes it is impossible to conduct a crack intervention on a daily user when he is not under the influence of the drug. Although more difficult, however, performing a crack intervention on a user when he is actively under the influence of cocaine does have a high degree of success. Essentially each crack intervention is unique and after proper analysis and guidance your professional intervention specialist will help you to determine when and what is the best approach.